Long Voyage Home: The Silver Anniversary Collection is nearly the definitive Joe Cocker anthology, covering his recording career from the late '60s to the mid-'90s, featuring material from all the labels he recorded for -- A&M, Elektra, Island, and Capitol. After an early single from 1964 (a version of the Beatles' "I'll Cry Instead"), the set skips ahead to his late-'60s recordings with his Mad Dogs & Englishmen troupe. From there, the collection doesn't miss many of Cocker's greatest hits or favorite album tracks. In addition to the familiar tracks, there are a handful of unreleased cuts. 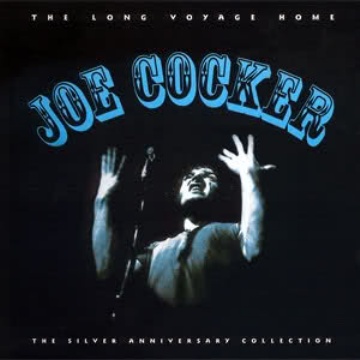 Joe Cocker - The Long Voyage Home - The Silver Anniversary Collection (1995) download links are externally hosted on Extabit, Rapidshare, Rapidgator, Netload, Uploaded and Joe Cocker - The Long Voyage Home - The Silver Anniversary Collection (1995) also available directly on Torrent Sources.